Posted on February 26, 2016 at 2:43 pm. As part of the SGCI Flux Print Conference, RACC is hosting an exhibition of the Ray Trayle Print Prize winners with a reception on Thursday, March 31 from 6 –8 pm. The 2016 prize will be awarded at 6:30. RACC offices are at 411 NW Park Avenue, #Suite 101. The Ray Trayle Print Prize is an annual award given to a remarkable Northwest printmaker in appreciation of Ray Trayle’s contribution to the art of printmaking. Because of his generosity in the design and fabrication of their hand-tailored printing presses, press owners and regional printmakers came together to create THE RAY TRAYLE PRINT PRIZE. 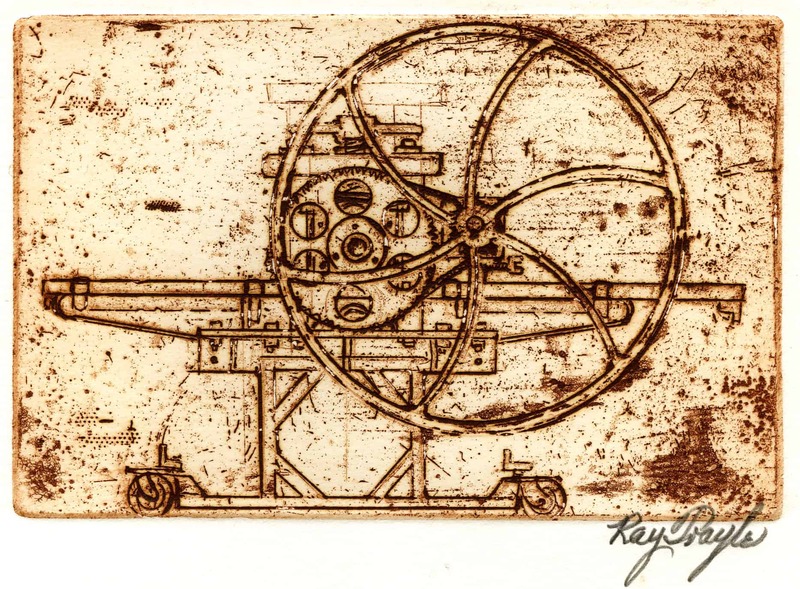 Each year, an outstanding regional printmaker will receive recognition of merit and a cash award in Ray Trayle’s name. Initiated with contributions from grateful printmakers who own Ray Trayle presses, this endowed fund is established under the auspices of the Regional Arts and Culture Council. This is the fifteenth year of the prize. The exhibit will run through May 13, 2016.